SMMT plays a key role in representing the UK automotive industry and its annual bus and coach press briefing is an opportunity to review the market and look at trends going forward. The meeting usually follows one of SMMT Bus and Coach Section’s quarterly meetings and in the past has been chaired by the section’s chairman. With the retirement of Adrian Wickens as chairman in 2015 and the recent move of his successor, Enrico Vassallo to pastures new, this year’s event was chaired by SMMT Bus and Coach Section Manager, Peter Lawton. 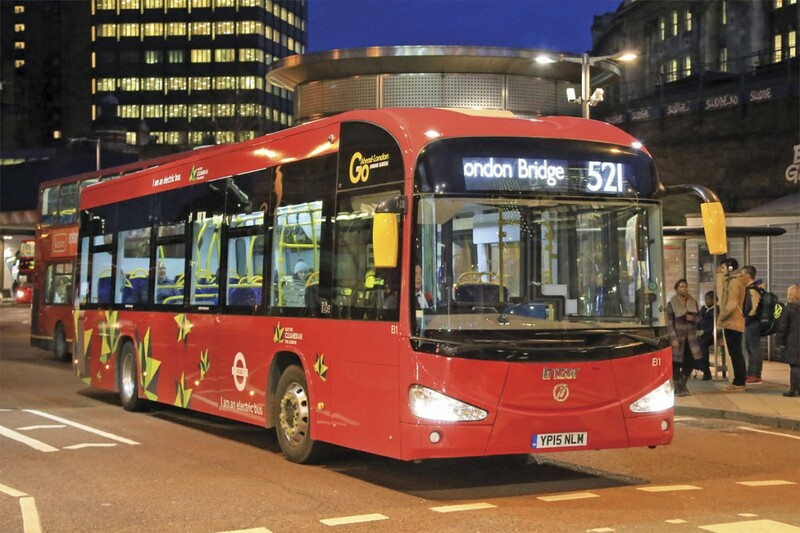 Go-Ahead are operating the two Irizar i2e full electric buses in London. The format was new as well, with a panel of experts from across the industry attending to discuss the key issues impacting on vehicle manufacturing and purchasing. 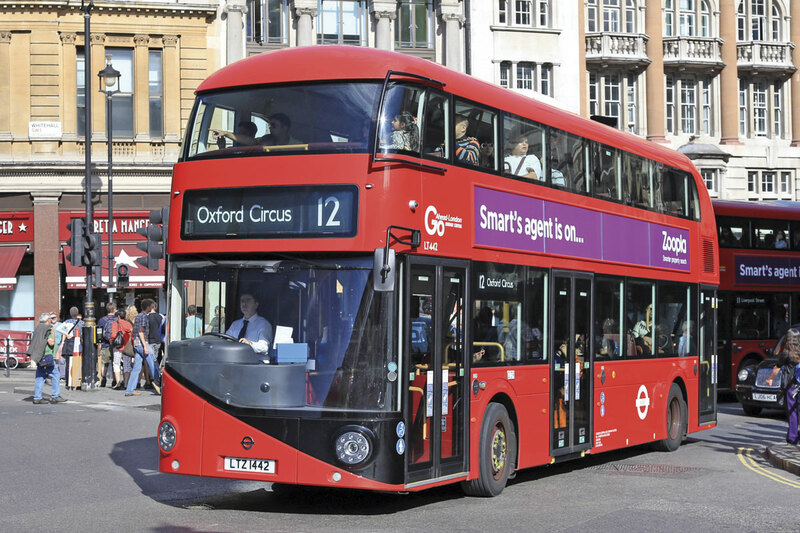 The discussions took place against a background of SMMT’s latest positive bus and coach registration figures which featured in Bus and Coach Buyer’s news last week and a new news release showcasing the take up of Euro6 vehicles in 2015. The new format also reflected SMMT’s desire to establish relationships with operators and vehicle specifiers to support manufacturers in developing the products needed for the future. Peter referred to work with First and TfL and proposals with TfGM. The panel consisted of Alastair Munro, Engineering Director at Optare, Martin Dean, MD Bus Development, Go Ahead and Claire Haigh, Chief Executive, Greener Journeys. Each was given a short slot to outline key issues before an open discussion with press representatives and members of the SMMT Bus and Coach Section representing vehicle manufacturers and key component suppliers. Go-Ahead Group are the most significant provider of contracted bus services in London, Euro6 standard New Routemasters operate on the 12. Martin referred to Go-Ahead’s focus on building stakeholder relationships and its strong belief in partnerships. The latter enabled quick responses to local market needs unlike area wide contracts and he citied the ‘frozen network’ issues as a key element of its defence against Nexus’ QCS proposals. 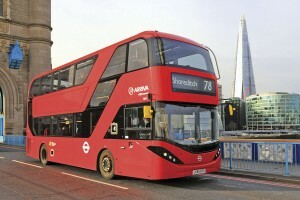 He was concerned that the Buses Bill 2016 was creating uncertainty for operators that could feed through to suppliers. although it was still business as usual at Go Ahead. Claire confirmed Greener Journeys’ objective of encouraging the switch of car journeys to bus noting that if each car user switched just one journey per week to bus, around 2bn tonnes of CO2 could be saved per year. She was delighted that BSOG was not being removed but perceived a risk that the devolution of capital spend to regions could reduce investment in expenditure on bus system infrastructure. The first examples of ADL’s Euro6 Enviro 400H City entered London service late in 2015. Following the presentations, two issues dominated discussions, Euro6 and infrastructure for alternative fuels, although there was general concern that the format of future BSOG payments was not yet known. The lack of certainty created by changes to such funding in Wales produced a plea for changes to be fully worked through and validated before implementation. Lack of a defined timescale also affected the Buses Bill publication with a view that it was now unlikely before May or June 2016. SMMT’s report shows 53.5% buses and coaches registered in 2015 were to Euro6 standard, a threefold increase over 2014. Within this overall figure, there were some significant regional variations. Perhaps surprisingly, London was only just above average at 55.2% (530 vehicles) whilst Birmingham and Glasgow topped the table with 83.6% (143 vehicles) and 84.2% (85 vehicles) respectively driven by significant local investment by National Express and First Group. The report adds that real world testing by TfL on the 159 route shows a 95% reduction in NOx emissions compared with Euro5 vehicles. There was general consensus that the cleanliness of Euro6 engines, sometimes emitting better quality air than taken in, was a good story to tell and needed further promotion. It needed to be used to support modal switch, the challenge was developing public awareness in a manner that the ‘poo bus’ had done for gas buses. 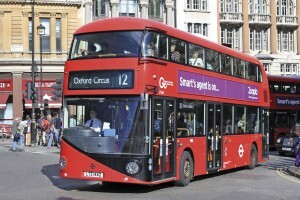 In the critical air pollution corridors identified by DEFRA, Euro6 buses could be part of a solution now, even if buses were not the main cause of the problem; there remained the question of funding. Alastair commented that manufacturers had upped their game overall at Euro6 with low carbon options to manage a vehicle’s overall energy use better. There were challenges though, Euro6 added expense and needed a different management cycle to ensure it was looked after. Then there was the question of what comes next, will there be a Euro7? One question yet to be answered is, when the current derogation allowing the continued production and registration of Euro5 vehicles will be closed? Various dates in 2016 have apparently been discussed and Peter later suggested that it may be driven by a mutual recognition agreement with Ireland where a July 2016 date is being considered. 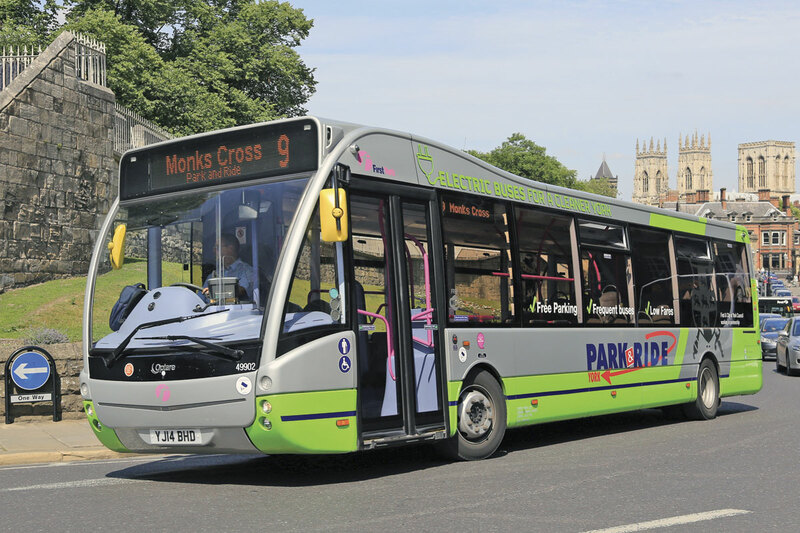 Optare have delivered significant numbers of battery electric vehicles into the UK market including two batches of Versas operated by First in York. Technology is moving quickly and increasingly complex solutions are being developed, particularly for battery electric vehicles. There needed to be dialogue to develop common standards. 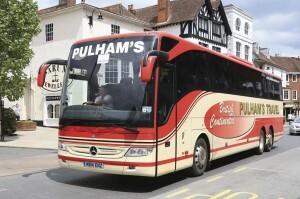 For manufacturers, Alastair noted that they could no longer just sell buses, there needed to be systems to support them. Martin referred to the challenges of converting the Waterloo operation to electric vehicles, both in the logistics of a near overnight change and the ability of the local electric infrastructure to support the power demands. There was a need for joined up thinking to deal with the worst pollution zones and possibly some body to give guidance and structure as well as dealing with the issue of who pays. Was there potentially a role for the Government’s National Infrastructure Commission in this? SMMT Chief Economist, Robert Baker, presented a wide ranging overview of the UK economy and its potential for impact on bus and coach registrations and manufacturing. At a high level, the UK domestic economy was resilient, supported by positive monetary and credit conditions but tempered by a slow down in GDP growth meaning confidence was more muted. The country was seeing significant impact from both the change in oil prices and the volatility of sterling in the exchange markets. Imports make up the significant gap between demand and UK manufacturing capacity. Evobus products were amongst the first to be exclusively available to Euro6 including this Tourismo M supplied to Pulham’s Travel. In respect of big bus registrations (up to 8.5t GVW), since 2008 these have been above the average for 2000-2007 period although showing some volatility due to green bus funding and advanced investment prior to the Olympics. Coaches have just about recovered to the 2000-2007 average with further growth anticipated particularly in vehicles for upgraded interurban services. Whilst SMMT do not formally publish forecasts for this market, Robert expected stable levels of 2850-3050 buses and 850-1000 coaches per annum could be achieved in the longer term once current challenges had been overcome. Against this, there has been a significant decline in minibus (3.5 to 8.5t GVW) registrations. SMMT figures show the current bus and coach vehicle parc in the UK to be on average 7.7 years old across around 89,000 vehicles of which 13,000 are coaches. 56% of buses and 59% of coaches were up to ten years old, most of the remainder being up to 20 years old although a significant proportion of buses (12%) were 21 years or older. In terms of UK manufacturing, production has been around 2,800 units annually for the past five years with nearly a quarter of these exported. Imports thus form a significant proportion and Robert was asked for a view on the impact of a ‘no’ vote in the European Union referendum. He suggested that there would be no significant effect in the short to medium term with the potential for negative impacts beyond six years time. Covering another indirect impact on demand, Robert noted that payouts from PPI claims had had a significant impact on disposable income over the past five years but going forward this would be significantly reduced. The annual SMMT briefing is always an interesting event, even if some of the economic analysis feels particularly challenging at times. The organisation has a pivotal role in identifying what manufacturers need in order to deliver the right product at the right time to meet the requirements of the industry and its further collaboration with operators and specifying organisations is to be commended. One key change in SMMTs output going forward will be a change to the reporting of registration statistics which from 1 January 2016 will be on a quarterly basis covering vehicles over 6t GVW, reported six weeks after the quarter closes. The first set of figures for 2016 will therefore appear in May and SMMT consider they will benefit clearer trend analysis in the future.